Lead generation is a marketing process that involves capturing and stimulating people’s interest in a specific product or service with the intention of developing a sales pipeline. It entails all marketing practices that initiate consumer interest in the products or services a particular business offers. With lead generation, the marketer aims to warm up target customers and get them on a path that leads to buying. It also involves reaching out to users and converting them into people who are naturally interested in what a particular brand provides. Leads are sourced from different avenues. For instance, from personal referrals, telephone calls by telemarketers or the company, events, advertisements, and the internet. According to a recent study by Mailgen, about 89 percent of polled respondents said that email was the most used method for lead generation. Coming in second was content marketing, then search engines, and events finally rounded up the top four. For visual learners, below is a diagram highlighting the lead generation process. SendPulse is a great tool for the second step in the lead generation process, namely “CONVERT” stage. The service offers a great variety of useful features: you can create different types of brand subscription forms absolutely for free, craft and A/B test effective call-to-actions. Discovery of a business: A visitor learns about a business via the various marketing channels a brand employs such as blogs, social media, pages, or business website. A customer clicks on a call to action (CTA): A CTA is a button, message, or image that prompts a potential customer to take action. 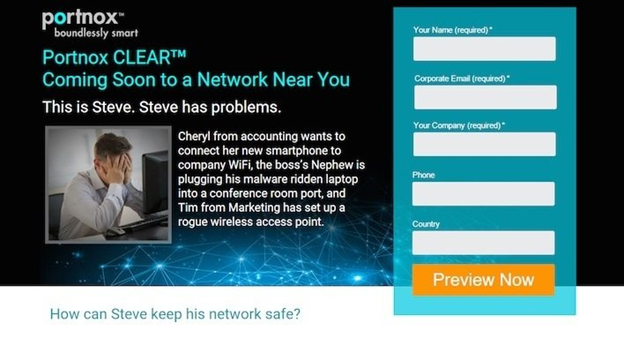 The customer visits a landing page: By clicking on the CTA, the visitor is redirected to a landing page that captures useful information about the lead in exchange for a delightful offer. Note that the offer refers to something valuable that is provided on the landing page. It could be a course, template, or even an eBook. The offer should be appealing enough to the visitor to make them provide their personal details in exchange for accessing it. And where is this personal information provided? Well, on a subscription form, of course. This feature is for gathering useful information regarding the visitor in exchange for the available offer. Now, while these forms can be embedded virtually anywhere on the website, they are typically put on the landing page. Here is a brief recap of the lead generation process. The prospective customer clicks on a CTA that redirects them to the landing page of a business. 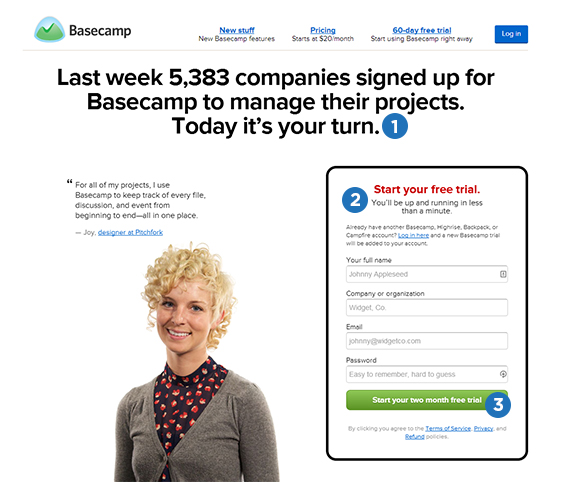 While on the landing page, the visitor fills out a form in exchange of an offer, and in turn becomes a lead. Seeing as email marketing is the most effective method of acquiring new leads, it makes sense for a marketer to learn how to leverage this online tactic for the most gain. So here is how. Suitable images to reinforce the message. Concise and easily comprehensible writing. Appropriate links for sharing on social media. Provide the potential customer with different chances and ways to opt in by providing an opt-in email link in sidebars and website pop-ups, various posts on social media, and so forth. Give plausible reasons as to why a customer should opt in by clearly stating the benefits that come with joining the mailing list. Use double opt-in subscription method for a better quality mailing list. Emphasize on quality instead of high-quantity offers. Research the market thoroughly to understand the target audience adequately. Segment the target consumers and send curated offers that appeal to each specific segment. Sending out customized emails to target consumers at the various stages of the purchase process. Sending content that boosts brand awareness to consumers in the awareness stage (top of the sales funnel). Sending the content that has to do with conversion to individuals at the bottom of the funnel – those in the consideration or decision stages. Has a clear value proposition. Stands out from the rest of the content in the email. Makes use of actionable words that prompt the readers to act. Providing a “Forward to friends” link in the email. Including social media sharing buttons in all content pieces and the email as well. Marketers can save themselves a lot of hassle while making substantial gain by using SendPulse for converting their leads into actual customers. Let’s break down the process. With SendPulse, a marketer can quickly come up with a distinct subscription form bearing the style and colors of their brand. The process is quite easy too, and one can try it out for free on the site. There are many pre-designed forms that one can use as a basis for their own. Infusing some recognizable business elements into the form is also smooth with SendPulse. Functions such as editing texts, changing form style, and adding images can be achieved by using SendPulse’s form builder. The embedded form: Allows the marketer to place a subscription form anywhere on their business website. The pop-up window: This type of form appears after a visitor spends a specified amount of time on the site or when they are about to leave. The floating form: Is a form that is easy to notice while visiting a certain site. The fixed form: This type of form is fixed at the bottom of the webpage and does not disappear when scrolling down the page. Get leads with SendPulse while managing all settings from a single location. With a fully functional subscription form, the marketer can then proceed to gathering subscribers who want to stay updated about the products and services offered by a particular business. To get more subscribers, use the SendPulse subscription form to reach to the market segment. All the forms created in SendPulse imply double opt-in method so you will send campaigns to active and engaged subscribers. To generate the most leads, a business should send out valuable content to their prospective customers. The point is to offer content that really resonates with the target audience. SendPulse helps do this job be offering deep segmentation. Check out our article on the blog to find out how to use mailing list segmentation for creating relevant campaigns. Use SendPulse to create emails that nurture leads effectively and encourage the customers to act when necessary. The service offers lots of professional features to generate more sales without much effort. Provide offers for each phase of the buying cycle. 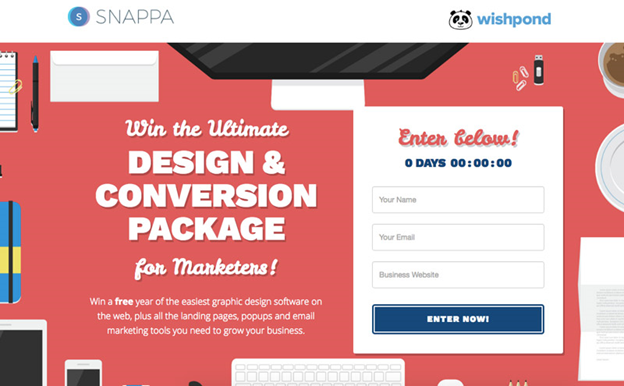 Enhance the CTAs on the landing page by working on aspects such as design. Use compelling imagery, headlines, and forms. Also, use clear and easy-to-understand language. Test for best practices before settling on a strategy. Improve lead capture. Find new and effective ways to capture leads via email. To boost the capture of leads, one can offer promotions and advertisements that are valuable. Use proper lead magnets. These are tools that offer value to prospective customers in exchange for their personal details such as social media follows, opt-ins, subscriptions, and so forth. Watch our video to get some fresh ideas oh how to use lead magnets effectively. Here are some examples of lead magnets: webinars, free trials, eBooks, whitepapers, bonus trips, interviews with experts, training videos. Use effective conversion techniques on landing pages. For one, make use of click-through landing pages and CTAs on them. Moreover, leave out all unnecessary information and focus on putting out content that boosts conversion. Perform lead scoring. This approach is whereby a marketer uses marketing automation software to prioritize leads as per their levels of engagement with inbound marketing content from a particular brand. Also searched with "Lead generation"
Rate this article about "Lead generation"
If you are interested in "Lead generation" you might be interested in our bulk email service.